Jet Set Smart: JET SET SAIL! That's right Jet Setters...I just got back from a week long cruise to Bermuda! And It was awesome! 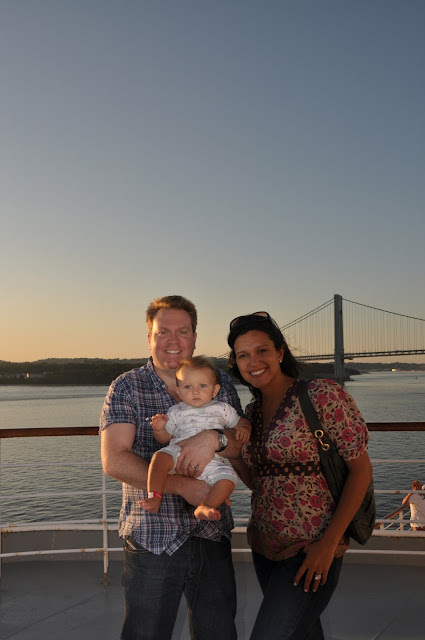 The hubby's family and I spent one week aboard Holland America Line's M/S Veendam which cruised right out of New York City (so easy for me) to St. George's and Hamilton, Bermuda. I spent my time off the ship checking out great places to eat (including where to find the BEST fish sandwich on the island)...gosh, I gained three pounds in a week- so you know I did a ton of eating while I was away! I also checked out a bunch of different beaches in my quest to find out which one is the PINKEST...that is one of the top things Bermuda is known for, right? I have lots to share with all of you, but I have lots of laundry to do too. But, I promise I will get the info up on JSS very soon...so stay tuned!